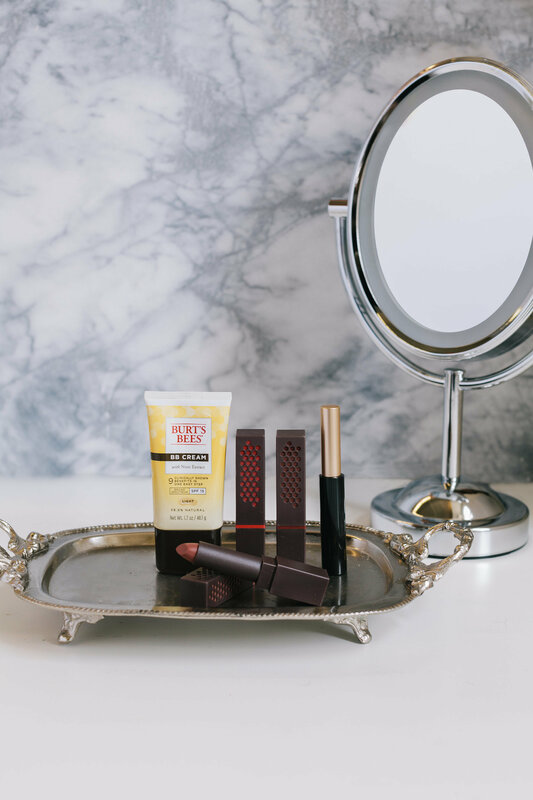 Nowadays less is more, so we partnered with Burt's Bees to share how one editor simplified her beauty routine and began using all-natural makeup. Busy mornings are not a walk in the park, especially when it takes upwards of 30 minutes to do my makeup every day. 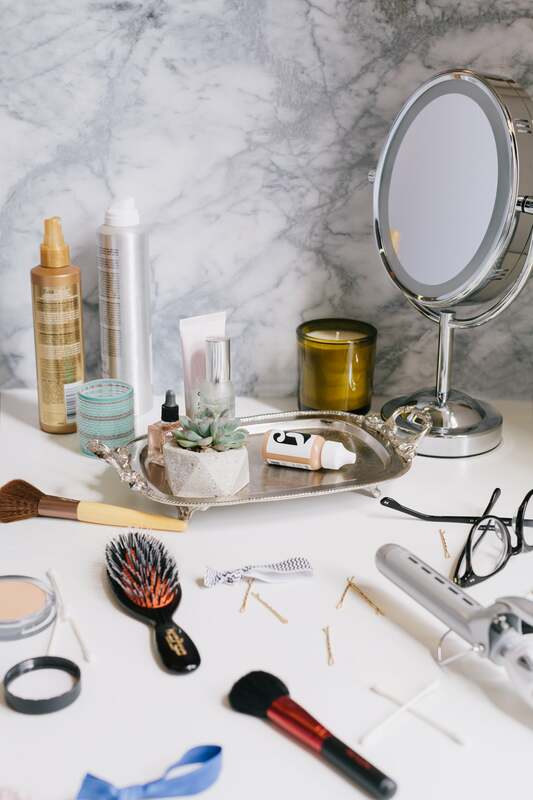 With countless items I'd somehow accumulated over the past few months cluttering my a.m. beauty routine, I decided it was time for a change. I vowed to purge unnecessary products and use this as an opportunity to begin using all-natural ones that pack a punch in beauty benefits and truly care for my skin. After discarding my questionable cosmetics, I began thinking about brands that are known for their wholesome and trustworthy ingredients. Burt's Bees is a brand that my family and I know well, so with this familiarity in the back of my mind, a trip to Walmart was all I needed. I spotted the new Burt's Bees BB cream, which is composed of 98.9 percent natural ingredients and contains SPF 15. I also needed a great lip color for Spring. I noticed that the new Burt's Bees lipstick is 100 percent natural, so that was a no-brainer. Finally, I grabbed a volumizing mascara to round out my new regimen. Every morning I start with the lightweight BB cream, which protects against harmful sun rays while keeping skin moisturized. It conceals and perfects my complexion and provides the coverage I need, but without the thick texture many creams tend to have. As the weather warms up, I'm confident that this product won't clog my pores and leave my face streaky, plus it's an easy way to incorporate SPF into my daily routine. I apply a few swipes of mascara and finish off with the hydrating lipstick, which comes in 14 full-coverage, satin-finish shades. It's formulated with moringa oil, which offers benefits like antiaging, exfoliation, and anti-inflammation. Not only does it take me significantly less time to get ready before work, but I also feel better about what I'm putting on my face. The benefits of chemical-free makeup go way beyond the surface by supplying skin with nutrient-rich vitamins and oils. My goal of adopting a simplified beauty routine is on its way to becoming one of my best decisions yet. Finding natural, quality products is the cherry on top. Spring is upon us—celebrate with color and beauty #nature would be proud of! Let lips soak up the 8-hour moisture of our 100% natural, utterly hydrating #Lipsticks, in 14 lively shades, and three shades of smoothing #BBCream, now available at @walmart.